Seth Carreras was moved to adult jail on a no-bail hold Friday. As Seth Carreras entered a 2nd District courtroom Friday to have bail set, he did so in shackles, grey pants and a white T-shirt. He walked with a bit of a strut and smirked as he glanced at the gallery and the approached the lectern. The display, which was repeated on the way out, was not lost on the family of the 19-year-old man Carreras is accused of shooting to death. Mikayla Patterson, Hunter Woodson’s cousin, called it an “evil smile.” Travis Woodson said he felt it was directed at him and Hunter Woodson’s mother. Carreras, 17, was before Judge David Connors to resolve whether the teen — who was charged as an adult with first-degree felony murder — would be moved into the adult jail population and what his bail would be. After Carreras’ defense attorney, Julie George, voiced no opposition to the state’s request for Carreras to be moved to the Davis County jail and held without bail, Connors complied with the request. (Photo couresty of Mikayla Patterson) Hunter Woodson. The slaying allegedly was the result of Hunter Woodson selling fake drugs to Carreras on Nov. 21. After ripping open a tightly taped baggie and finding 1.5 ounces of various kitchen spices, Carreras entered Hunter Woodson’s home, tracked him to his bedroom, shot him multiple times and then rifled through his pockets for money. That’s according to a recently unsealed search warrant affidavit that includes a recounting of the slaying from Hunter Woodson’s 17-year-old girlfriend, who watched the shooting occur. Carreras then fled the Sunset house and returned to his home in Layton, where police arrested him within 22 minutes of the shooting. 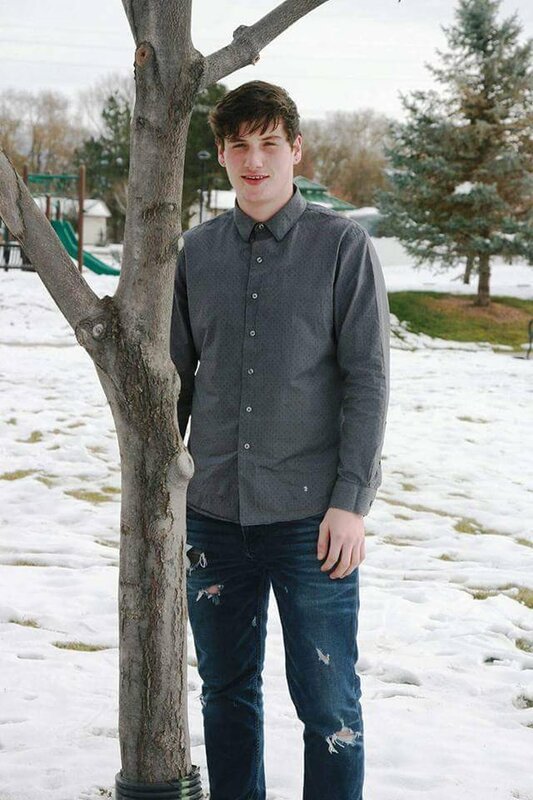 On the day of the killing Carreras and the 19-year-old Hunter Woodson were messaging each other about Hunter Woodson selling marijuana to Carreras, the girlfriend told police. 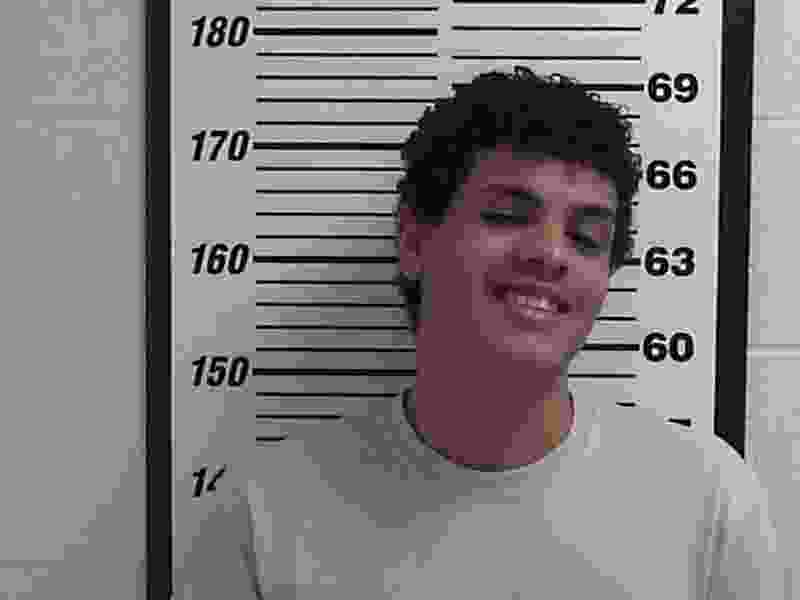 Carreras wanted 1.5 ounces of the drug, but Hunter Woodson didn’t have that much. He told Carreras he could facilitate the sale anyway. Carreras came to the Sunset home at 12:30 p.m., according to the affidavit, and the two smoked a joint so Carreras could test the product. But Carreras didn’t have money on his person and went home. The two kept messaging and agreed upon a price of $260 for the drug, but Carreras eventually said he only had $121. Hunter Woodson agreed to the sale anyway. When Carreras returned, Hunter Woodson had his girlfriend go outside the home and collect the money while he poured paprika, salt, pepper and other spices into a pink bag and taped it up, the affidavit states. The girlfriend brought the money in and took the fake drugs to Carreras. Carreras felt the bag and realized something was off. He opened the bag, and the girlfriend went back into the house to warn Hunter Woodson. Carreras followed her into Hunter Woodson’s bedroom. Hunter Woodson had his girlfriend hide behind the door, she told police, while he took a fighting stance to confront Carreras. When Carreras entered the room, the girlfriend could see that he had a gun. Hunter Woodson said something to the effect of, “What are you going to do about it, shoot me?” At that point, Carreras fired a 9mm handgun “a lot of times” and Hunter Woodson fell to the ground, the affidavit states. Carreras walked forward and stood over Hunter Woodson, the girlfriend told police, and continued to shoot. As the girlfriend ran out of the room, she saw Carreras going through Hunter Woodson’s pockets for money, she told police. The girlfriend called police, who quickly found Carreras at his home in Layton, where they saw him trying to crawl under a car. Police searched a shed on the property and found “hundreds” of bottles of pills on a shelf in the shed, as well as scales and “marijuana shake” on the floor. Between the shed and the cars in the driveway, police also found knives, guns, ammunition and two machetes — one in the shed and one in a car, the search warrant states. About a dozen of Hunter Woodson’s loved ones were in the courtroom Friday, and were pleased with the outcome. While George didn’t contest the no-bail hold, she also reserved Carreras’ right to a preliminary hearing. She said she might look to contest an assault charge Carreras incurred on Dec. 22 for allegedly kicking the leg of a staff member of the juvenile detention facility where he has been incarcerated. The move to adult jail was almost a given due to the nature of the charges, as well as Carreras turning 18 on Feb. 10, the prosecution argued. And while the Woodson family found solace in the move to adult jail and the decision on bail, they are still coming to grips with the killing of their loved one.